The classic Tail Tamer's Curved Handle Brush with an eye-popping rainbow make over! The super comfort handle helps you to remove snarls with ease! This fantastic brush is sure to please! 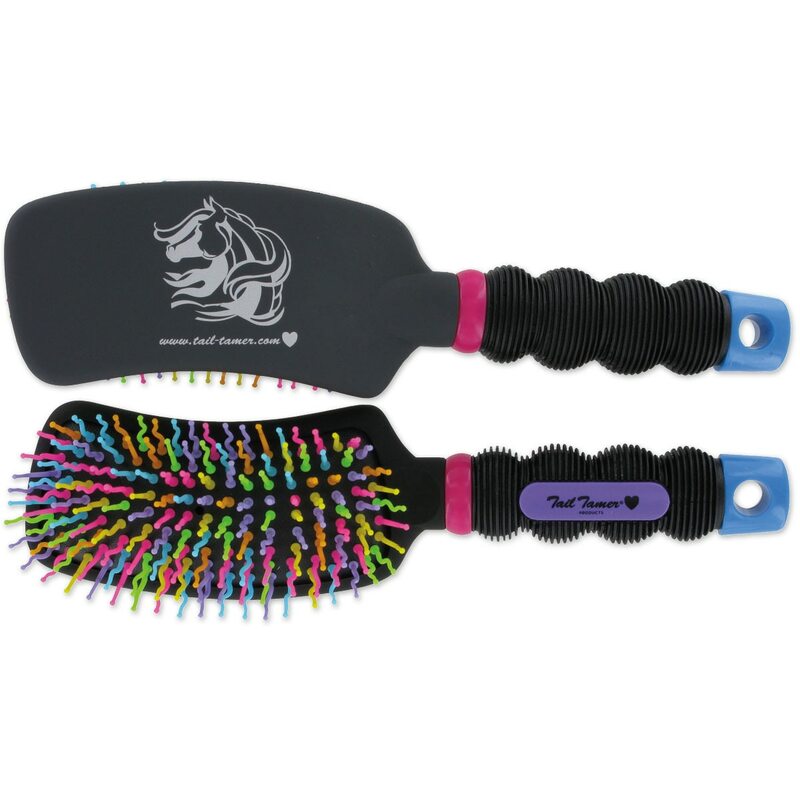 Tail Tamer's Curved Handle Rainbow Brush is rated 5.0 out of 5 by 1. Rated 5 out of 5 by Alia from I'm a Believer! I never thought a tail brush would make such a difference. My mare has a gorgeous, thick tail that always seems to be full of shavings and hay. With my old brush (and LOTS of detangler), it would take upwards of 40 minutes to brush out well and more hair would get pulled out than I'd like. However, with this brush, it only took about 10 minutes to brush her whole tail out, and I only found 5 hairs stuck in the brush afterward! I've definitely been converted.